IN THE ROOM this week welcomes independent veteran Shane Taylor (Michael Taris). Shane has been wrestling up and down the east coast for nearly 30 years, and continues to kick it in today’s landscape. 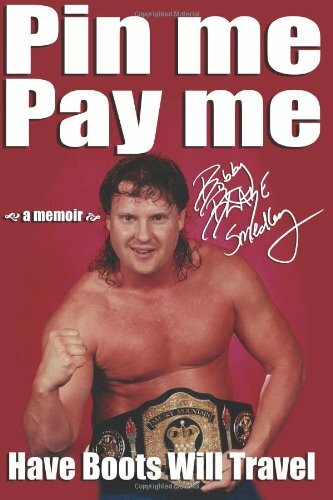 This sit-down is a must-listen for Taris’ thoughts on the current independent scene (versus that of the early 90s; opportunities to wrestle for WWE; training under “Iron” Mike Sharpe; and remembering some great times with Ace Darling, the late (and missed) Matt “Doink” Borne, and The Bushwackers, among others! Plus, with Stro off representing at the Cauliflower Alley Club convention in Las Vegas – and Derrick McDonald and Matt Grimm unavailable – PWI’s Brady Hicks and Kathie Fitzpatrick talk about WWE’s Greatest Royal Rumble in Saudi Arabia; look at this Sunday’s Backlash pay-per-view; and discuss Alexa Bliss’ recent surgery. Plus open phone lines for two full hours and so … much … more! Thanks, as always, for the support!